Photo by D.L. Anderson. Mipso plays Sunday, Dec. 6 at 8 p.m. at Humboldt Brews. $10. A few days after Thanksgiving, I was with a friend and fellow musician listening to some music that stopped me in my tracks. It wasn't new to me, but let's just say it had been a while since I last heard it. (I won't get into it, but let's just say it was obscure enough to score me some mediocre hipster points.) It wasn't so much the music itself that hit me, but the immediate memories it brought up. I remember driving to the record store to pick up the album, and then returning to the first "college house" I lived in right across the street from Arcata High School. It was the summer after my freshman year at HSU, and I had acquired a bottle of port wine — the dubious legality of this evades memory at the moment — and spent the days lying in the summer sun reading Orwell and listening to this album on repeat. The details are important to the story, but only because they all became vividly apparent years and years later just upon hearing the music. At risk of sounding too much like the boring middle section of a memoir, this was also around the time that I began playing music (rather poorly I may add). Memories of jamming with friends and going to house parties flooded back into my mind. Practicing with my first band, turning 21, and the well-earned exuberance of finally being able to play at the Alibi all seemed as fresh as something incredibly fresh. Years of hoofing it to local venues to see live music came right up front. All of this before the song even got to what could be called a chorus. Call it nostalgia, or something fancier, like a sonic time machine to our earlier selves. Music has power. Don't ever forget it. In the meantime, go make some new memories this weekend. The possibilities are endless. At the Van Duzer Theater up on the HSU campus you'll have the opportunity to check out a Grammy-nominated duo who have recently yukked it up on Conan. Touring to support a new album, Monterey, the Milk Carton Kids crowd around a microphone and blend their voices while playing acoustic guitars. HSU students get the deal for this 8 p.m. show at only $10. The rest of us? $36. 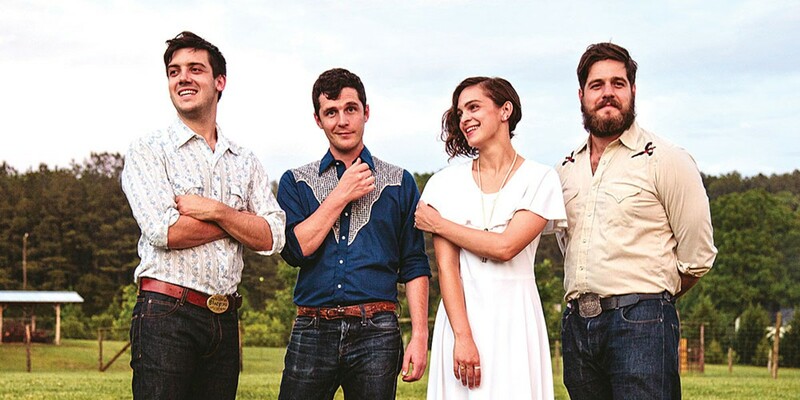 The Logger Bar is free (the music that is) for everyone as it hosts The Yokels at 8:30 p.m. I was back up on the HSU campus this past week and couldn't help but notice that the bookstore was chock full of HSU/Star Wars apparel. If we ever needed to convince our 9 year-old son that HSU was the school to go to, our job is now done. As many of us anticipate Star Wars Episode VII: The Force Awakens, HSU slakes our musical thirst with two movements of the Star Wars Suite from the HSU Symphonic Band. Show is at 8 p.m. in the Fulkerson Recital Hall for $8, $5 for HSU Students and seniors. Heads up: The symphonic band will be performing the whole suite in the spring. You're guaranteed to find Money at the Blue Lake Casino and Hotel for free. Humboldt's Pink Floyd tribute band will perform the albums Dark Side of the Moon and Wish You Were Here in their entirety starting at 9 p.m. (Full disclosure: The bass player's only in it for the money). At 9:30 p.m. local band Wild Otis opens for Bay Area band Midnight North at Humboldt Brews. With a weekly gig at Terrapin Crossroads in San Rafael, Midnight North has some chops and some great three-part harmonies. The band's supporting its new album, Scarlet Skies, so help 'em out. $10 for this show. For funky jams, head to The Jam in Arcata at 10 p.m. for Brothers Gow with Groovesession who are up from Ocean Beach. Eel River Brewery is enjoying its 20th anniversary, and as the nation's first certified organic brewery, there's much to celebrate. Cheap pints all day long, and with The Compost Mountain Boys jamming around 4 p.m. for free, you know it'll be a good time. Around 6 p.m. you can catch Chuck Mayville at Gallagher's Irish Pub in Eureka for free. Just don't request any Supertramp songs. HSU keeps the shows coming through the weekend with the HSU Calypso Band, HSU Marimba Band, and youngsters from Fresno, We Got the Beat. The Calypso Band will be celebrating its 30th anniversary in the spring. $10 for this Van Duzer Theater show, but only $3 for HSU students and seniors with a 7:30 p.m. start time. In South Arcata, you can hear locals Kingfoot at Redwood Curtain Brewery at 8 p.m.
And all the way up from Austin is Govinda. Not the character from Siddhartha, but rather the "alter-ego" of classically trained violinist and composer Shane Madden. Expect electronic beats with some classical instrumentation. 9:30 p.m. at Humboldt Brews and a $15 ticket price. 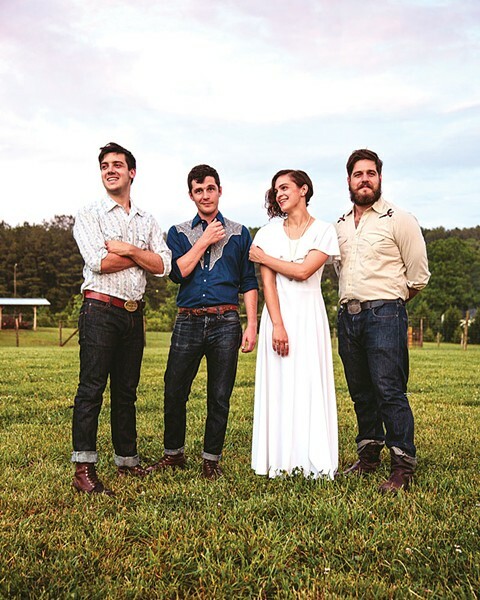 Sticking at Humboldt Brews, Chapel Hill-based Mipso will be playing an early show at 8 p.m. for $10. A folk/newgrass band, these folks are fresh off of a jam on a float at the famous Macy's Day Parade in NYC. This show should be nothing like that. At HSU's Fulkerson Recital Hall, the HSU Madrigal Singers, along with the Mad River Transit Jazz Singers, will perform some English Madrigals, a Christmas Lullaby and, more importantly, The Beatles' Yellow Submarine, all for $8, free for HSU Students. With music described as "dripping wet love drops of nasty mind melting sonic bliss," Phutureprimitive will be at the Arcata Theatre Lounge at 9:30 p.m. I'm not terribly "in the know" regarding electronic dance music, but with that description and the "ph" instead of the traditional "f," I'd guess this is EDM. Not a phree show, but somewhere between $15 and $20. As usual, you can catch bluesman Buddy Reed for free at Libation on the Arcata Plaza at 7 p.m.
Also free are local rockers Companion Animal with Nashville's Linear Downfall. Expect some experimental and "psychotic noise" along with some nice melodies at the Siren's Song Tavern in Eureka starting around 9 p.m.
Andy Powell is a congenital music lover and hosts The Night Show on KWPT 100.3 FM weeknights at 6 p.m. He doesn't like Facebook and doesn't feel bad for not mentioning your show that you never told him about.